International perspectives on social welfare are crucial to SSA’s leadership role in social policy and social work. Both Clinical Practice and Social Administration students at SSA can enrich their educational experience through study abroad, regardless of their choice of elective sequence. We offer programs in India and Hong Kong and China. SSA students who are accepted in SSA’s Global Social Development Practice Program of Study must engage in an internship or study program abroad. The following opportunities can count towards this requirement. 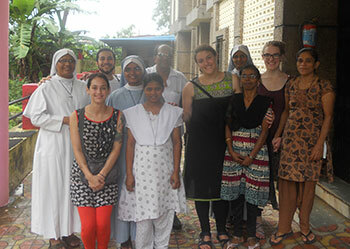 SSA, in collaboration with the Tata Institute of the Social Sciences Centre for Community Organization and Development Practice offers a four-week, intensive study-abroad program during the mid-late summer months focused on urban poverty and community practice in Mumbai, India. “Poverty, Marginalization, and Challenges to Community Practice in India” provides SSA master's students with the opportunity to learn about key issues in international social welfare. 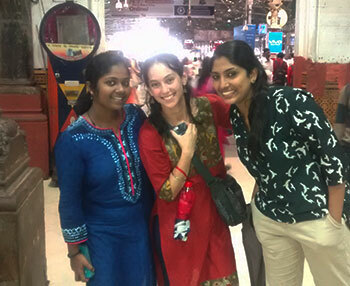 Students gain field experience in international social work practice through intensive experiential learning in Mumbai. The program is open to all students regardless of their concentration. The course includes an introductory seminar in Chicago. This program is intended to be both locally grounded and explicitly comparative, and combines both practical fieldwork experience with coursework and structured, critical reflection. It will provide students with an intensive introduction to the ways in which social welfare is organized in India, the nature of urban poverty there, key issues confronting vulnerable populations, and the intent, organization, and implementation of particular models of community practice to address urban poverty. About six to 10 SSA master’s students and counterparts from the Tata Institute participate each year. The program is designed primarily for students during the summer between their first and second years. Classroom and field experience will be enriched by the interaction between SSA students and the local students of the Tata Institute, a premier university of the social sciences and the first school of social work in India. Understanding the nuances of field issues, debates, and processes of engagement within the various arenas of community practice. Orientation to and activities in Mumbai. The intent of the program is to provide students with the opportunity to learn about key issues concerning the nature, contributing factors, and state and community responses to poverty, migration, and urbanization in the context of globalization. This program takes place in Hong Kong and mainland China, including Shanghai in the east and Kunming, located in Yunnan Province in southern China. 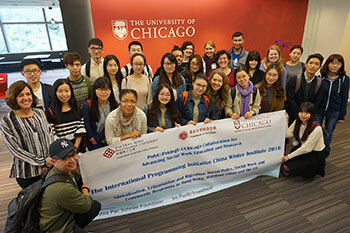 It is intended to be both locally grounded in these places and explicitly comparative, combining lectures, seminar discussion, and site visits to provide students with an intensive introduction to the ways in which poverty and migration are viewed and responded to in China and the United States. In addition to interrogating and comparing these dynamics cross-nationally, it will provide the opportunity for regional comparison within China, including a focus on rural-to-urban and west-to-east migration. 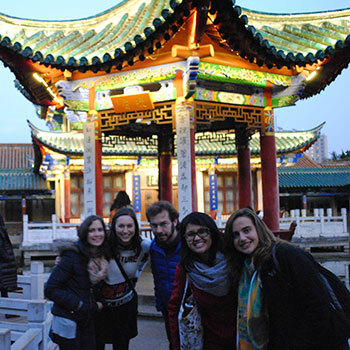 Orientation to and activities in Hong Kong, Shanghai, and Kunming. Please contact Cristina Gros, Assistant Director, International Programming at 773.702.7107 or at international@ssa.uchicago.edu. “A lot of the clinical approach is second nature to me, but it is compelling to take what I learn in class and really make it work,” says Rocio Reyes, AM '12.